Actor Poonam Sinha joined the Samajwadi Party (SP) on the 16th of April, Tuesday. She was welcomed in the presence of Dimple Yadav. Poonam Sinha is the wife of Shatrughan Sinha, who recently joined the Indian National Congress after being denied a BJP ticket from Bihar’s Patna Sahib. 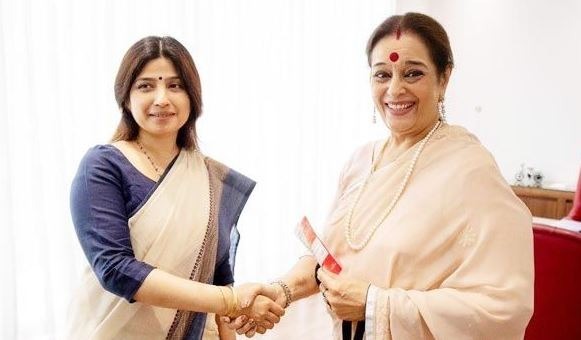 Poonam Sinha will fight the Lok Sabha polls from the seat of Lucknow in Uttar Pradesh against Senior BJP leader and Union Minister Rajnath Singh. She will file her nominations on the 18th of April. The Congress party has still not decided if they would field any candidate in Lucknow, the Samajwadi Party hopes that it won’t field any candidate. Poonam Sinha is a Sindhi while her husband Shatrughan Sinha is a Kayastha. Apart from banking religion and caste, the SP candidate has a tough fighter Rajnath Singh against her, who won Lucknow Lok Sabha seat in 2014 with a 55.7 percentage of the votes.